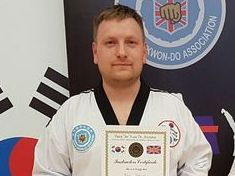 Sabumnim Fenton has many years experience in the martial arts and enjoys sharing his knowledge with the students of Messingham Martial Arts. 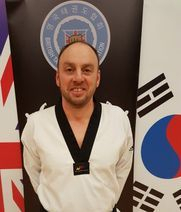 Sabumnim Fenton is hard working and dedicated, and is a great asset to the club, often giving up his time for events outside normal training as well as covering classes on the rare occasion Master & Sabumnim Usher are unable to or away. Sabumnim Urbański is a dedicated martial artist, having many years experience in Taekwondo Sabum Urbański is now also training in the Japanese art of Judo. He has always put everything into his training including instructor training and enjoys helping others perfect their skills. Sabum Urbański brings something special to classes, which is not to be missed. Sabumnim Katie McCulloch started training at the age of 4 years old in a special formatted class for under 7's. She has been dedicated to her training for the past 10+ years at a previous club Master Usher Instructed at. Sabumnim Katie McCulloch has had some great feedback recently with regards her knowledge and confidence when helping the students as well as skill level particularly since she is quite young in comparison to the other instructors. A valuable asset to the club Master Katie McCulloch is at most sessions and ready to help. Being the son of Master & Sabumnim Usher, Adam has been exposed to the Martial Arts since birth. He began training officially at the age of 5 but had a bit of a head start and access to extra training due to the family background. Adam has faced many challenges even at his young age and you could say pushed harder than most due to him being related to the club owners. 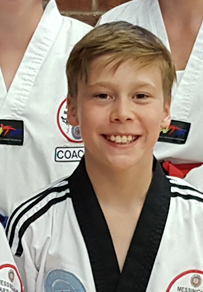 Adam has dynamic skills at a high level and is dedicated to training, he earned the rank of 1st Poom Blackbelt at the age of 9, making him one of the youngest in the country to do so. Adam is keen to learn what it takes to be a great instructor. 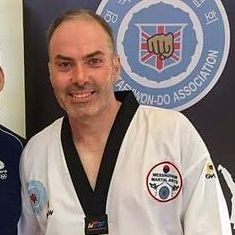 Sabumnim Terry Davies has over 25 years experience in Martial Arts. He is an experienced and very accomplished fighter, which has earnt him the rightful place as our chief fight coach and is a huge influence over our fight team. Sabum Davies Shares our beliefs and passion and has made a huge impact on our members with regards competition sparring training. A humble person who has not followed the grading system but fully deserves the respect of a master.